JEFFERSON’S GRAVESITE: In the fourteen years since Saving Monticello first was published I have been asked more than a few times if the National Park Service—or some other federal entity—owns Monticello. The answer is that Monticello is not owned by the federal government. It is owned by the Thomas Jefferson Foundation, a private nonprofit formed in 1923 to buy Monticello from Jefferson Levy and to run it as a shrine to the nation’s third President. “The federal government doesn’t have anything to do with it,” I usually say. However, there was one instance in the long history of Jefferson’s mountain that the federal government did contribute financially. 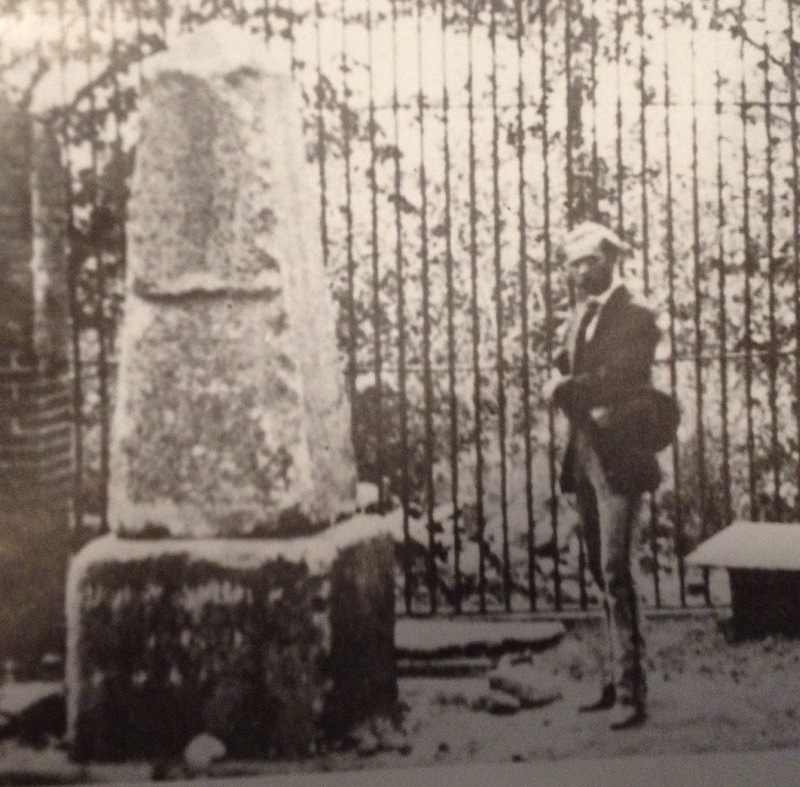 As I mentioned in the book, in 1878 Congress appropriated $5,000 to pay for a new monument over Jefferson’s grave as the one erected after he died in 1826 had been repeatedly vandalized by souvenir hunters who routinely took chippings off the stone. That’s a picture from the book of the desecrated monument above with Jefferson’s youngest grandchild, George Wythe Randolph, taken around 1871. There was a caveat with that federal money, though. The appropriation would come only if Jefferson’s descendants—who owned the graveyard as it had never conveyed after the family sold the property in 1831—gave title to the graveyard to the government. As it happened, the descendants did not accept Congress’s conditions in 1878. Four years later, however, in April 1882, Congress—with no strings attached—appropriated $10,000 for the erection of a monument over the Sage of Monticello’s grave and for other improvements to the site. A new, 18-foot granite monument was placed on Jefferson’s grave that fall. Repairs were made to six other graves, a new iron fence was installed, and the entire site was graded, reseeded and re-sodded. As the plaque above notes, the beautifully maintained graveyard remains today in the hands of the Jefferson family—a group of descendants who are members of The Monticello Association. 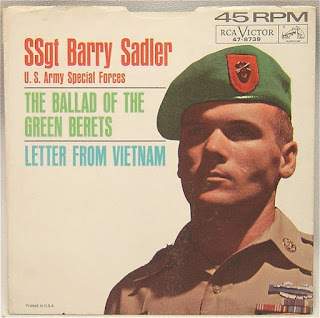 EVENTS: I have four events in September, as I continue researching my next book, a biography of Barry Sadler, the U.S. Army Sergeant who wrote and performed “The Ballad of the Green Berets.” The pub date is November of 2016. Thursday, September 10 – A talk on my latest book, What So Proudly We Hailed: Francis Scott Key, A Life and book signing for the Fairfax Resolves SAR Chapter in Sterling, Virginia. Saturday, September 19 – A talk on the Key book and book signing for the Society of Mayflower Descendants in the District of Columbia in Washington, D.C.
Thursday, September 24 A 1:00 p.m. talk on the Key book and book signing for Live & Learn Bethesda in 4805 Edgemoor Land Bethesda, Maryland. For info, call 301-740-6150; email info@liveandlearnbethesda or go to http://liveandlearnbethesda.org Open to the public for a small fee. Photo credit: George Wythe Randolph at Jefferson’s grave: University of Virginia, Albert and Shirley Small Special Collections Library.